Concerts at St. James's has several exciting performances in 2019 by various artists as well as the St. James's Choir. Click the link below for information on our spring 2019 lineup. Join the Mailing List: To receive news about upcoming events from Concerts at St. James's, please join our mailing list. After many months of anticipation, the extensive re-building and enlargement of the three-manual Austin Organ at St James's is complete! 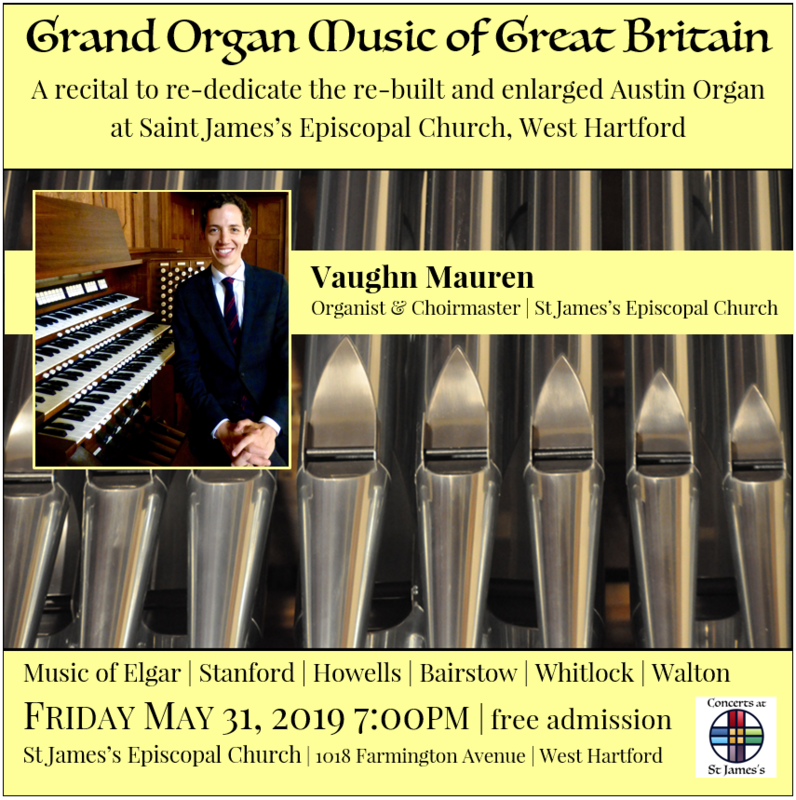 Please join us for a very special recital to re-dedicate this marvelous instrument. 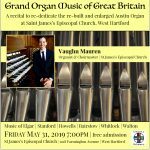 Vaughn Mauren, Organist and Choirmaster at St James's, has chosen a program of "Grand Organ Music of Great Britain," with selections by Elgar, Stanford, Howells, Bairstow, Whitlock, and Walton. Organ specs here: http://stjameswh.org/assets/files/Organ-Specs-for-Website.pdf. No tickets are required for this special event. Support the Series with your Program Ad! Concerts at St James's invites local businesses and organizations to advertise in our concert programs. For more information and to reserve your advertising space, please download the PDF Advertiser Guide below.